Want a truly unique blade with superior chopping abilities? Look no further than the Combat Cleaver. Constructed from stainless steel, this full tang behemoth has the weight and angle to chop through just about anything in its way. 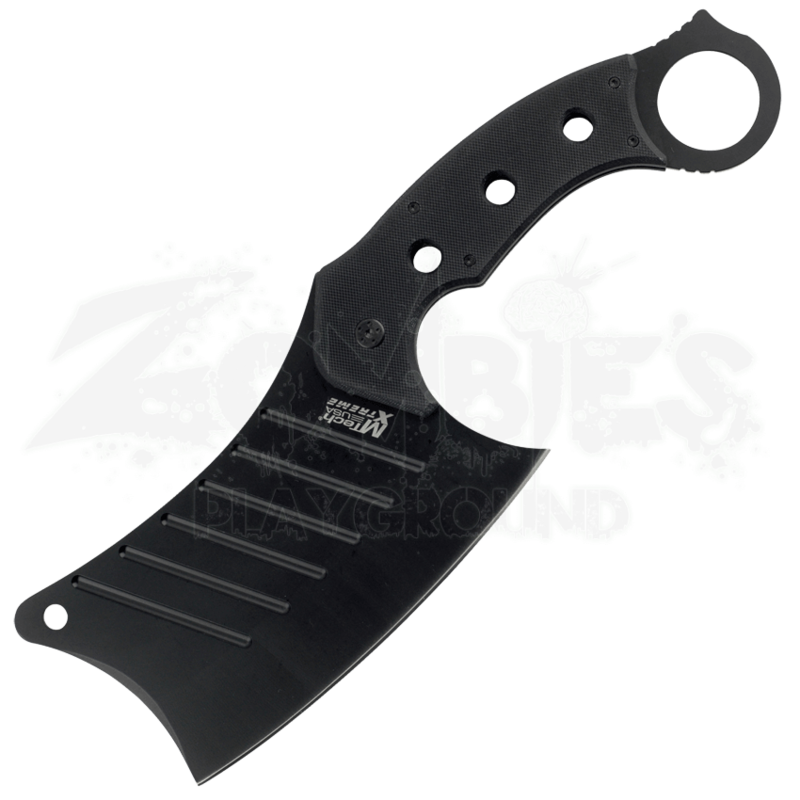 It can also be used in reverse grip for combat with an assist from the G10 handle instead of forward grip you would chop a brisket with. 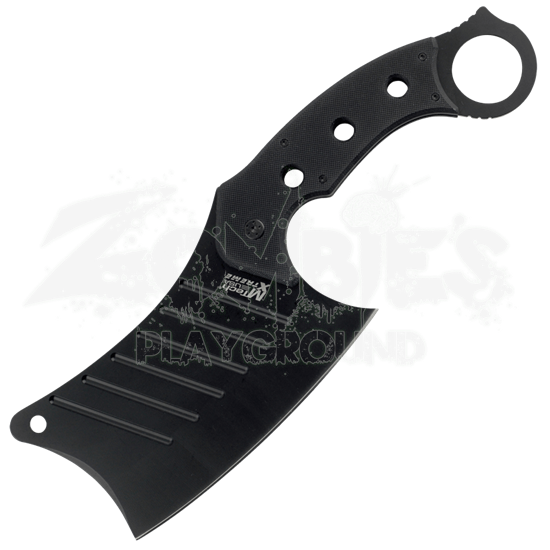 This blade also comes with a nylon sheath for safe storage and carry.